Outdoor lovers will definitely find this detailed review of the Barska 10x40 Blackhawk Monocular quite helpful. This isn’t just another entry written in an attempt to sell more of the product, but an honest to goodness review on what you should expect when you purchase the item. 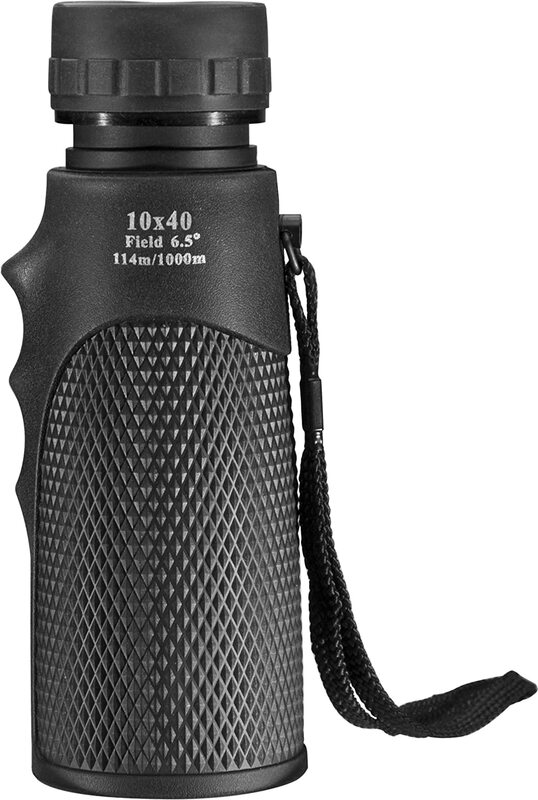 The Barska 10x40 Blackhawk Monocular is not only lightweight, but also quite convenient to use. It is merely 6.2 inches long and 2 inches wide. 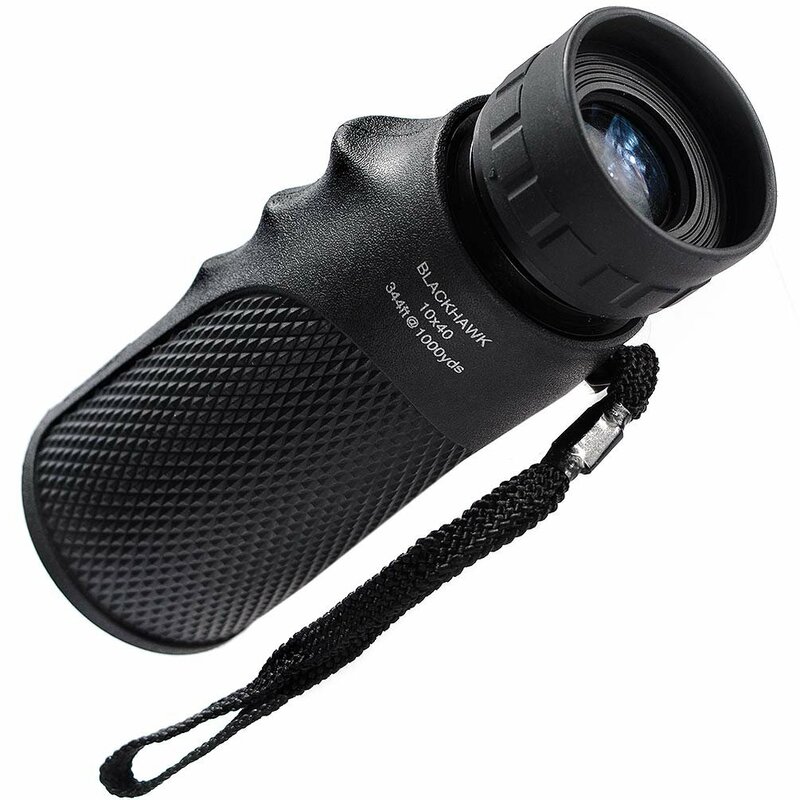 It is one of the lightest monocular around, since it only weighs 10 ounces. This monocular is quite portable and will only take up just a little of your luggage space, good enough to allow you to pack more traveling essentials for a great weekend or holiday out in the woods. What else can we expect from the Barska 10x40 Blackhawk Monocular? You will be surprised at what this basic and inexpensive monocular has to offer. The Barska 10x40 Blackhawk Monocular features fully coated optics, compact roof prism design, 17 mm eye relief, and a BK-7 prism glass; an assurance that the images remain looking sharp even if you are viewing it from a very remote location. Though many worry with having limited light, it is not a hindrance with this basic monocular because the resolution of the lens allows better light transmission. You also have the option to use the product with your eyeglasses or sunglasses on since it has a twist-up eyecup. Water build-up will not be an issue with the nitrogen filled housing feature of this monocular. While many might have the assumption that since this is quite a small monocular, it will not be good for different weather conditions, the Barska 10x40 Blackhawk Monocular remains surprisingly quite effective despite extreme weathers – even with thick fogs. It is also water proof. The finger rests makes it more comfortable for you to use this monocular too. The whole product is also non-slip; therefore, the risk of it falling off your hand is reduced. This monocular also comes with lens cloth, wrist strap, carrying case and a limited lifetime warranty, basically everything you need from a basic product. While there are some who prefer to have a lanyard to come along with their monocular, the Barska 10x40 Blackhawk comes with a wrist strap. You can always choose to customize yours with a lanyard though. The flap closure of this particular item tends to be a little noisy, but only a few users complain about it. The good news is that most bird watchers and hunters have attested at how handy and effective this monocular is, even if it might be smaller than others. How effective is the Barska 10x40 Blackhawk Monocular? So, we’ve discussed the main product features earlier in this review, but let us have more emphasis on the efficiency of this particular monocular. This small and basic monocular surprisingly comes with an objective lens of 40mm with a 10x magnification, making it possible to have a sharper view of whatever you desire. It would be helpful to use the Barska 10x40 Blackhawk Monocular with a tripod if you intend to view everything with more magnification. The product tends to be shaky without a tripod when you increase the magnification even further. This basic, lightweight monocular from Barska has multi-coated, waterproof, and fog proof optics because it comes with lenses that has been O-ring sealed with a barrel that has been filled with nitrogen. If you don’t adjust the magnifying lens, then the closest focus would be at 13 feet, while the farthest viewing you will have is at 315 feet. This feature makes this basic monocular a favorite among bird watchers. ​Those who venture the outdoors regularly are fully aware that all of their stuff might possibly get damaged. Fortunately, with how the Barska 10x40 Blackhawk Monocular has been designed and engineered, though some external damages might occur, the lenses will still definitely function perfectly. The rubber design of this basic monocular does an exceptional job of protecting the interior lens. This makes our monocular more resilient than the others. ​How will the Barska 10x40 Blackhawk Monocular perform in the field? ​Many of those who purchased the Barska 10x40 Blackhawk Monocular can attest that though this is a very basic and lightweight monocular, it surprisingly works quite perfectly in the field. It is perfect for outdoor lovers. The great resolution allows the user to view from 13 to 315 feet quite well. This product has also been in demand for deer hunters since confirming the bedded-down location of the deer has become easier, making the hunt a better experience. Well, what more could you ask for from a monocular that won’t cost much? It does not have a tripod mount, but the product description mentioned that it is compatible though. Despite the claims that it is utilizing a BaK-4 prism glass, upon further inspection, this product actually has a BK-7 prism glass, a notch lower than what the customer expects. The hook and loop closure of the carrying case tends to be loud. 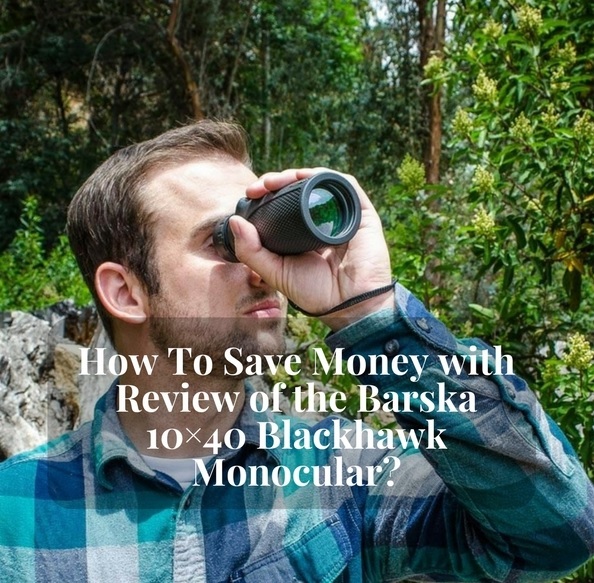 So there you go, an honest and thorough review of the Barska 10x40 Blackhawk Monocular. This item might be quite small, but it has proven itself to be very handy for bird watchers, nature lovers and deer hunters as well.